The WMWW toolkit gives an introduction to the project. 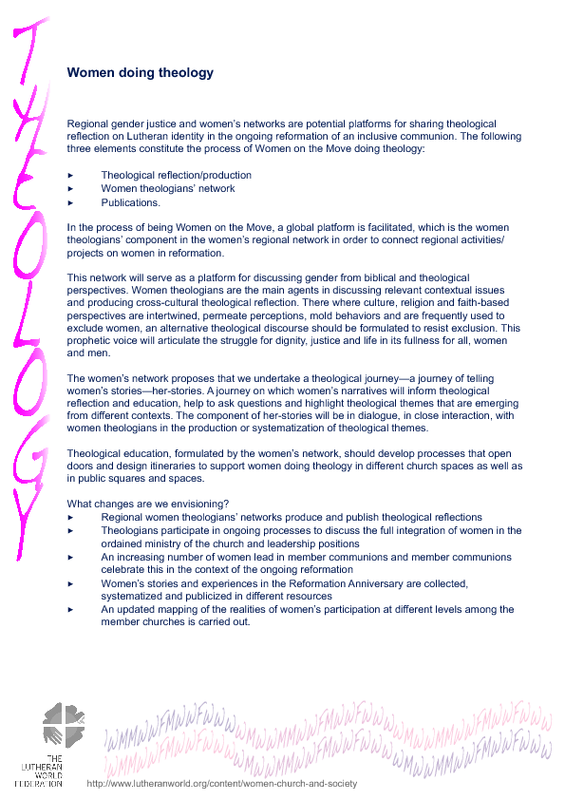 It equips women in the global Lutheran communion to take part by sharing texts, images and videos with other women. The toolkit is made up of a number of elements available for individual download. A cover folder with an inspiring image of Catharina crossing over the threshold provides a convenient holder for stories and ideas collected on the journey toward 2017. The folder is available in standard printing and press (delivery to service provider) formats. Use the toolkit to revisit and reflect on the past together with other women, and to empower the present. Experience how it makes visible women’s contributions to the spreading of ongoing reformation ideas and ways of living.